Dave’s House is Central Florida’s leading provider of affordable permanent supportive housing for individuals with serious mental illness (SMI) and co-occurring disabilities. 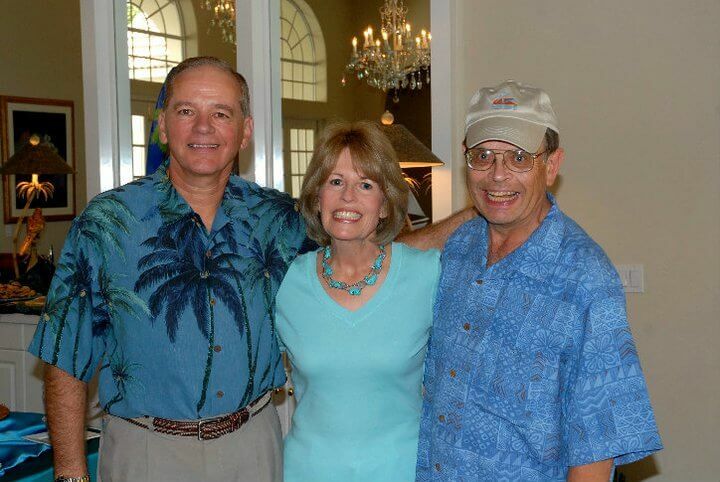 Founders Lin and Ron Wilensky personally funded the two first Dave’s House homes in 2008 and established Dave’s House as a 501c3 non-profit organization in 2009. Working with partners at the local, state and federal levels, the non-profit develops homes based upon innovative and effective best practice models. These housing models combine a solid foundation of affordable and stable housing, accompanied by managed mental health care, provided by behavioral health service partners. Dave’s House also coordinates with other well-being service providers to assist residents. Dave’s House has developed nine single site homes in Orlando and Ft. Lauderdale, Florida and Fairfax, Virginia, as well as multiple Dave’s Housing First homes, providing permanent supportive housing for over 100 individuals who are living productive lives in an atmosphere of mental wellness, safety and stability. Mission | To transform lives and give hope to people with serious mental illness through creating stable homes that provide lasting recovery. Vision | To end the housing crisis for people with serious mental illness. Central to Dave’s House successes is the foundation of people helping people. Each of our residences is a product of community cooperation, individual compassion and a commitment to make an enduring difference in the lives of others. We uphold high standards and ethics, are solutions-based and continually explore new avenues to improve our community in new and innovative ways. We began Dave’s House in 2008 to help individuals with serious mental illness (SMI) and co-occurring disabilities succeed in life with the stability and safety of permanent supportive housing. Lin’s brother, Dave Jeffreys, struggled with paranoid schizophrenia all his adult life; he managed it once he became a resident in a permanent supportive housing residence in Virginia. Dave lived 15 productive and meaningful years in that home. His days included volunteering at his church and working part-time before passing of natural causes. We saw the difference this home made in Dave and his housemates’ lives. One of his housemates has lived over 30 years now in this supportive and stable setting! Our residents, managing their SMI and pursuing their dreams, inspire us every day. What began as a simple idea to help a dozen people has grown into boundless potential for positively affecting hundreds of lives in our community. We focus our work in our Central Florida community. The individuals we serve are chronically homeless, at risk of being homeless or in sub-standard housing. As a result of a health crisis, they have found themselves in a place with no housing, mental health care or financial support systems. Once established in permanent supportive housing, residents receive ongoing mental health and wellness support services. Their personal case manager works with them on life skills training, medication management and other assistance areas. A stable home is the foundation they need to get on, and stay on, the road to wellness. Our residents are breaking the cycle of homelessness, incarceration and hospitalization, so that they may focus upon improving themselves, contributing to their communities, managing life obstacles and realizing their potential. The work of Dave’s House is possible because of the support of caring people and partners in our community – catalysts in providing our residents a sense of security, belonging and stability. This financial support provides affordable permanent supportive housing, and its comforts – soft beds, warm showers, home-cooked meals, loads of fresh laundry and all the little things of a stable daily life. The contributions of our supporters’ time, expertise and financial support allow Dave’s House to expand our resident family each year. They help our residents rejoin our community, giving them purpose and motivation, free of stigma, despair and isolation. Our supporters and activists provide Dave’s House residents a place to call home. For all this, we thank you. We are blessed to have such incredible community support. Together, we will continue in our mission to end homelessness for people with SMI. If you or a loved one need permanent supportive housing, contact us. Visit our Support page to help Dave’s House grow. We welcome opportunities to share the Dave’s House story with community businesses and civic organizations. Contact us to schedule a presentation to your group. Dave’s House is a 501c3 non-profit; we file a 990 annually. The accounting firm WithumSmith + Brown completes an Accounting Financial Report.